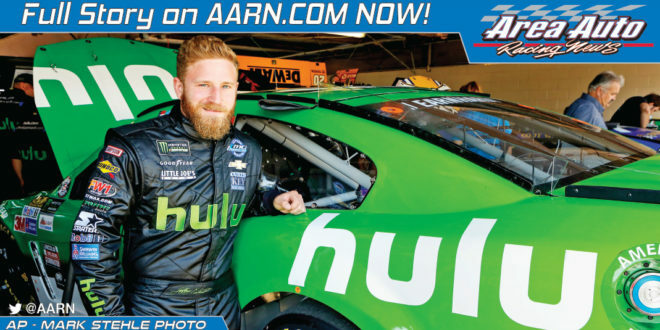 Jeffrey Earnhardt announced the signing of needed sponsorship support from Hulu on Friday prior to racing activities at Dover International Speedway. The sponsorship for the Circle Sport/TMG Chevy No. 33 driven by Jeffrey is the first for Hulu, which recently launched a new, live premium streaming TV service for its subscribers. 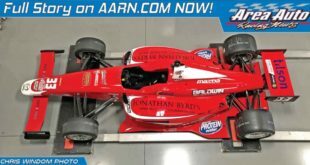 “All sponsorships are big for a team like ours,” said Jeffrey on Friday afternoon, in a special one-on-one AARN interview prior to qualifying for Sunday’s 400-mile race. Hulu picked up 19 remaining events on the NASCAR Monster Cup schedule that the team had not sold title sponsorship for. Last weekend at Dover, Jeffrey made his debut in the Hulu green colors; and the company logo was afixed on not only the race car and the driver and team uniforms, but pit boxes and the hauler as well. At the other remaining five events sold to clothing manufacturer Starter, Hulu will act as an associate sponsor on the car. 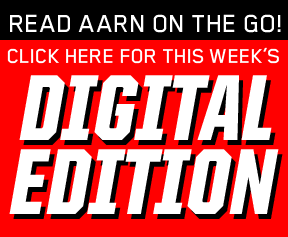 “It’s pretty incredible for a team like us,” said Earnhardt. 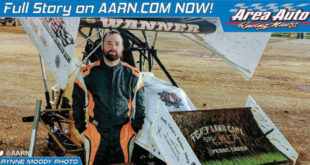 While no numbers were released, the funding will go a long way in helping the Curtis Key and Joe Falk team become more competitive. Exposure through their promotions will also aid the team in acquiring further corporate sponsorship. “There are a lot of plusses that are going to come out of this partnership,” said Earnhardt. 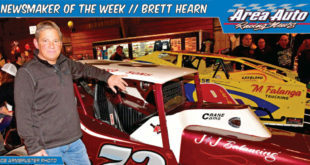 Jeffrey, 27, is a fourth generation member of his family to race following great-grandfather Ralph, grandfather Dale Sr. and father Kerry. 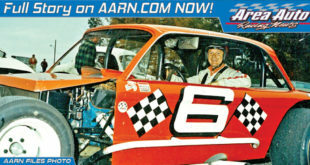 His older brother, Bobby Dale Earnhardt, made his debut on the ARCA Stock Car Series driving a No. 3 just two weeks ago. Jeffrey is the nephew of Dale Jr. who announced he’ll retire after the current season is completed. This will leave Jeffrey as the only member of the famous family currently competing in NASCAR’s elite division. Dale Jr.’s departure could open the door for Jeffrey for future sponsorship, growth of his fan base and the possibility of landing a ride in one of NASCAR’s super teams. While Dale Jr. was able to drive only the best equipment in his career, Jeffrey has had to work hard to make it in the sport. 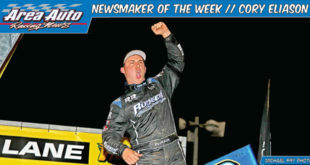 He started at the lowest levels of short-track racing and crawled his way up the ladder. He made his Cup debut last year, but lost his ride at the end of the season. 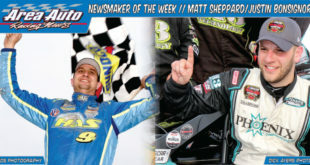 This year he was picked up full-time as the driver of the No. 33, but the under-funded team has raced outside of the spotlight. 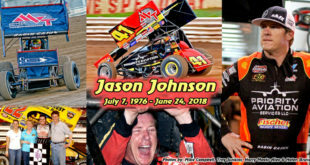 His best finish is a 26th at Daytona, a race that ended early in a multi-car crash. What does Jeffrey need to move from mid to back of the pack towards the front? The Circle Sport No. 33 team brings roughly six crew members to the track each week. A few stay back in the team shop in Statesville, N.C., to prepare cars for future events. That’s compared to over 500 working for a team such as Hendrick Motorsports. “As a driver you want to go fast right away,” said Jeffrey. Hulu has now stepped up to the plate for the team. It’s now their job to reward them with television exposure only offered to the front running teams.